The alchemy of Charlotte Tilbury — Geoff Howell Studio Inc.
As Beauty products are becoming more scientifically advanced, the artwork for many of these product are designed to reflect this complexity. 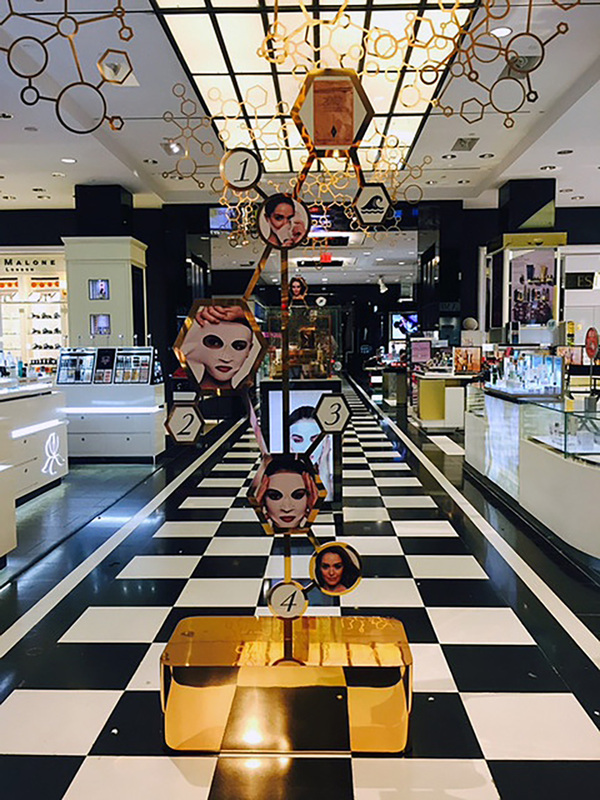 For Bloomingdale's in Manhattan, Charlotte Tilbury's latest line "Magic Skin Care" brings the magic of science to the fore with chemistry inspired graphics. For our part, we produced delicate cutouts, polished metal risers and plinths as well as custom-made giant product factice, graphics and special lighting. The effect is purely (scientifically) magical.